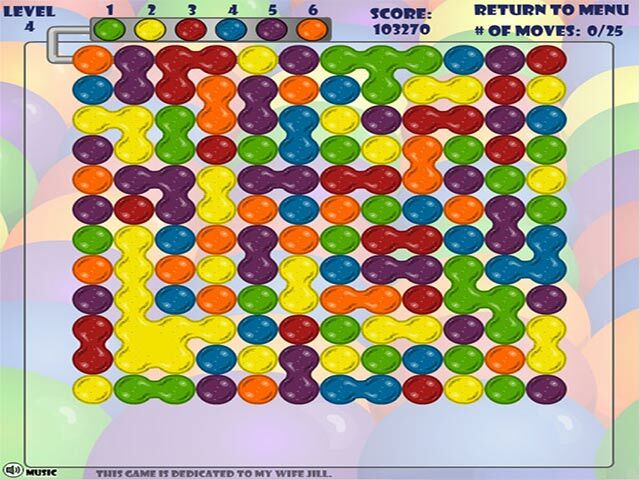 Connect all the Globs on the board by changing their colors. 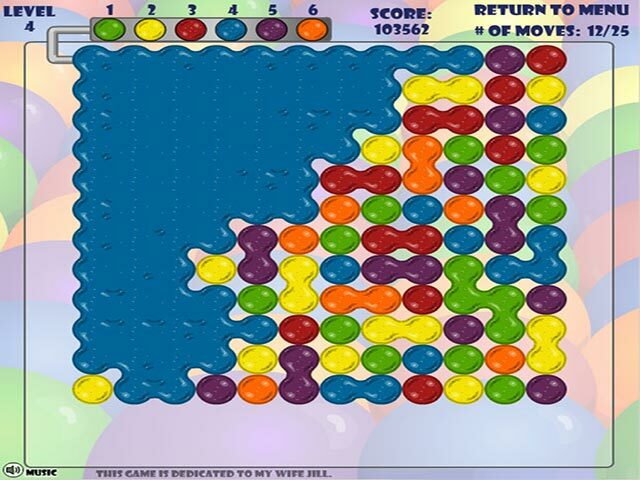 Do it in 25 moves or less and you'll be the Master Globs Guru!A color-matching game to glob onto!Looking for a colorful challenge? 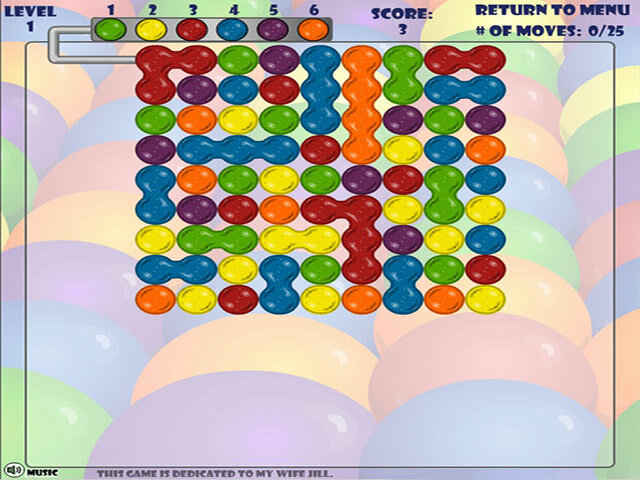 Connect the Globs and make them all the same color in this simple-yet-captivating online game. Start with the top-left glob. Click one of the 6 colored buttons above this glob to change its color. Any globs that are the same color and touching this glob will merge with it. Repeat until you merge all the globs. 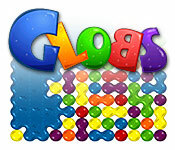 Earn massive points by connecting all the globs in 25 moves or less. You'll be the Master Globs Guru!